Advertisement of Hawaiian Jewelry brand “Lono” featured in Ana Logue magazine. The photography was taken in a studio in Kugenuma. 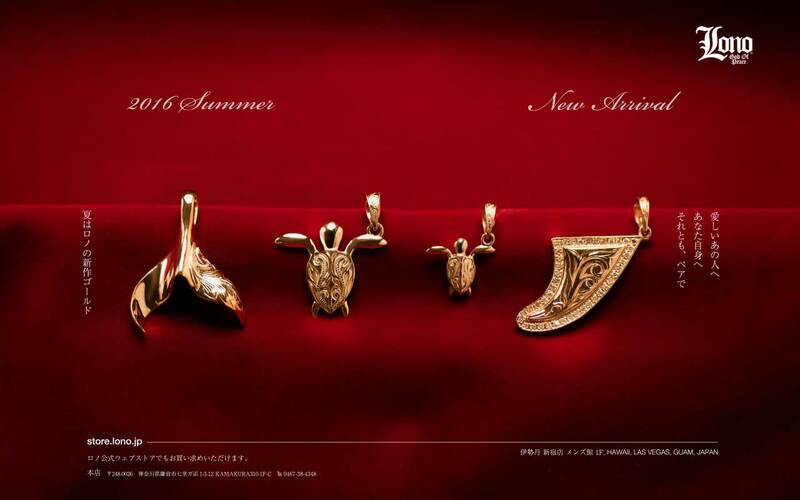 This is an announcement for their new designs and gold jewelry. This new lineup caters to an older age group, due to it’s price range. A red background was used to highlight the beauty of gold colour, with only a little retouching to bring out the shine. Photoshop is part of modern photography advertisement, which can’t be driven without it.